Free download Race Driver Grid game (Demo) for PC. 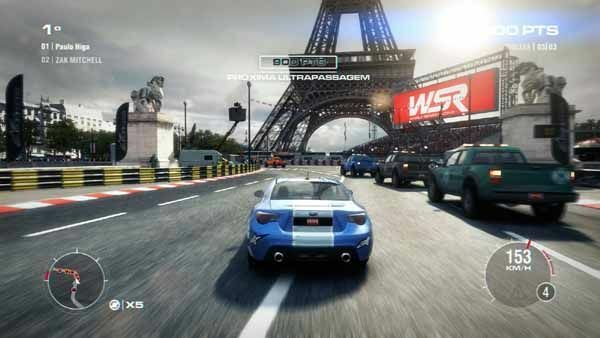 It is a car racing and driving simulator game that is developed and published by Codemasters. In Race Driver Grid the player runs his own team while the player himself plays as a primary driver. With the progress of the game, the player gets some sponsors and can hire a teammate to race along. In the start, the player does not have its own car, company or team. So he accepts the job offers to play as a professional driver for other teams to earn money. But when the player have enough money to purchase some vehicles and establish his own team, he has the option to give up the job and play independently. The three main regions of the game are United States, Europe and Japan. Each region has its specific championship. Race Driver Grid includes several events as GT Championships, Drifting, Touge, Open Wheel Racing and Demolition Derby. Moreover, player can also play Real Road Courses in the game as Le Mans and Spa Francorchamps are included in it. There are also some Street Circuits that include Detroit Street Circuit in Michigan and Washington D.C. Street Circuit to play. The graphics of the game are really awesome and you may determined it by the system requirements of the game.